WOW! Everything about this Classic home is Clean and Spacious. 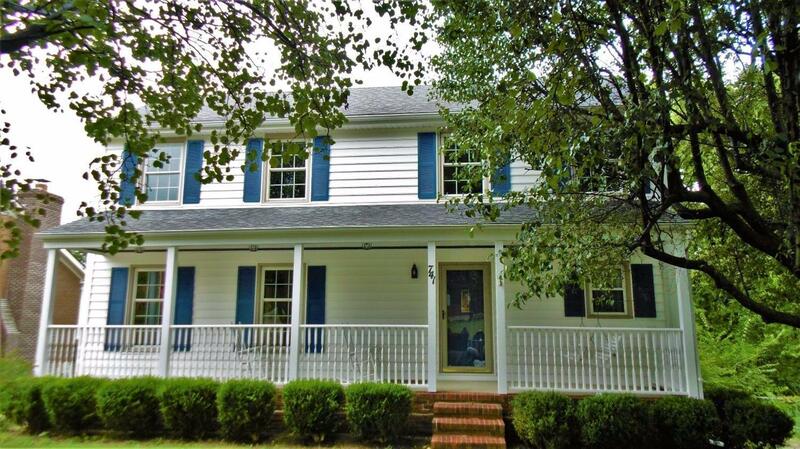 4 Bedrooms, 2 Full & 2 half baths, BIG 1st Floor Master Suite. Hardwood floors. Tile. Walk-in Closets in 2 bedrooms. Great Room with Fireplace that flows into the Formal Dining Room, a spacious kitchen, AND the MASSIVE Main Floor Deck overlooking a small creek. This home speaks to the Entertainment-Minded Family. Upstairs are 2 Super-Sized bedrooms, one with a big Walk-in Closet, cool full bath, & a Catwalk overlooking the Great Room. FULL FINISHED BASEMENT. There is another bedroom in the basement, no egress window, but a window for plenty of light. Basement has a big Family Room, and an adjoining area that could be used for almost anything, including more family space. Oh, and ANOTHER FIREPLACE in the basement Family Room. 2 Car garage is a tandem, with a single garage door. Outside the basement is a SCREENED-IN PORCH. Brick skirt gives the basement exterior a prettier, more finished look. 4 doors from Belleau Woods Park.